Most everyone is familiar with the tale of “Little Red Riding Hood,” right? It typically starts with a little girl in a bright red cloak, or “hood,” traveling through the woods alone to get to her grandmother’s house. She encounters a wolf who learns where she is headed. The wolf inevitably beats her there, gets rid of Grandma (in one way or another), and waits for the girl while dressed in a matronly disguise. When Little Red Riding Hood arrives, she naively mistakes the disguised wolf for her grandmother, and gets herself into trouble with her hungry enemy. The story usually ends happily, though, with Little Red Riding Hood (and sometimes her grandmother, too) being rescued by a manly hunter. Of course, there are many versions. Sometimes Grandma gets locked in the closet instead of eaten, or Grandma’s “ending” isn’t part of the happy ending at all. Perhaps your memories of the story have completely different details! The variations on the classic tale are as different as the people who tell it. This season, we have a special interest in the little adventurer and her red cloak, so we decided to take a deeper look. We wanted to know how old Little Red Riding Hood’s origins really are, and how much the story has evolved through the years. Durham University anthropologist Jamie Tehrani traced Red Riding Hood's roots to find the origins. He found that the story is not only a lot older than the Brothers Grimm (who are credited with creating the version most of us know today), but it can also be traced to multiple parts of the world. Every part of the world tells the story with its own small deviations (you can read more about the fascinating research here, and read the original study here). Interestingly, the morals seem to speak to cultural values. 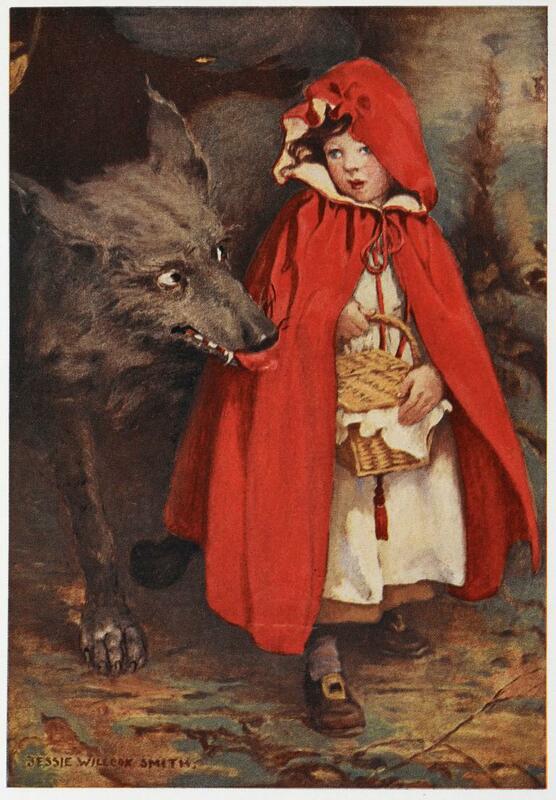 Take the “classic” Grimm’s version—readers learn that children like Little Red Riding Hood shouldn't talk to strangers. The Grimm story also teaches children to always obey a parent’s instructions. Little Red Riding Hood only gets into a conversation with the wolf because she strays off the path to her grandmother’s house, something her mother had strictly warned against. Religiously and culturally, “don’t speak to strangers” and “stay on the straight and narrow” are both common expressions in the Western world. Older versions like the 14th century stories from Italy and Austria don’t leave out any of the bloody details. In one, Little Red Riding Hood is tricked into eating her own grandmother, and there are certainly no happy endings in sight (perhaps inspired by the true story of PeterStumpp, the “Werewolf of Bedburg”). 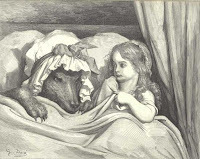 In Charles Perrault’s version from 1697, Little Red Riding Hood gets into bed with “Grandma” before getting eaten. Perrault’s story is more of a warning to young girls against being seduced by men’s trickery. If you can believe it, when the Wilhelm and Jacob Grimm got their hands on this story, they decided to make it a little more lighthearted! They at least allowed a happy ending, with the huntsman saving the day. As time goes by, we see more and more variations pop up. Each new take presents different perspectives, different protagonists, and different settings. 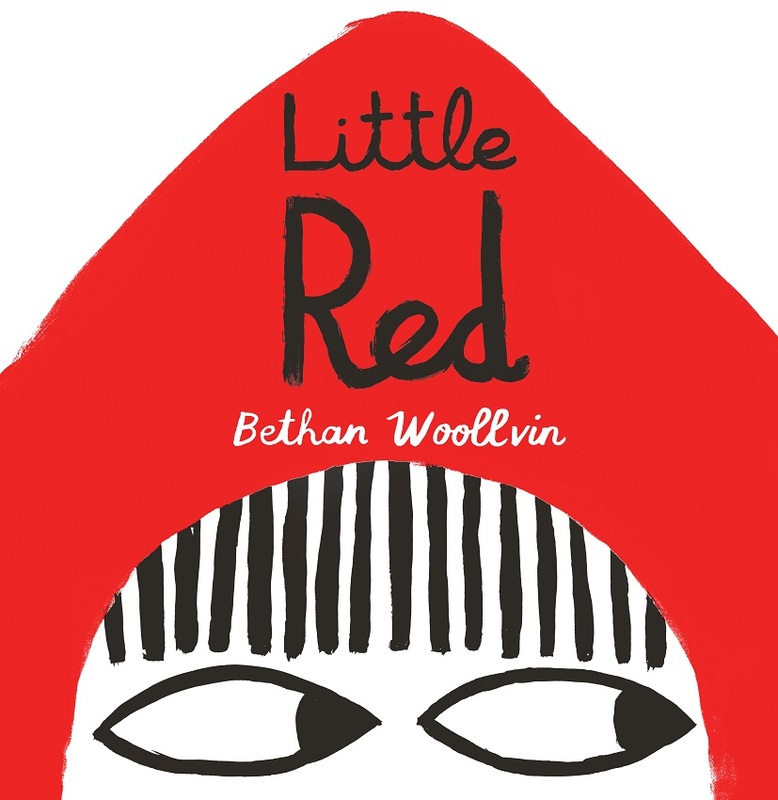 Which brings us to Bethan Woollvin’s Little Red. 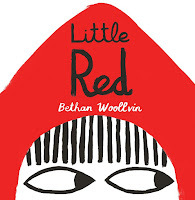 In this retelling, Little Red does meet a wolf in the woods on her way to her grandma’s house, but forget the naïve girl you thought you knew. Little Red is just as perceptive and cunning as her enemy. She knows exactly what this wolf is up to, and she isn’t going to let him get away with it. When Little Red sees the giant furry creature dressed in her grandma's clothes, barely fitting in grandma’s bed, and very obviously NOT grandma, she knows exactly what to do. The prospect of facing the wolf might have scared some little girls, but not this little girl! Little Red relies on her own bravery and wit, and she does just fine by herself, thank you very much! We love that this subversive retelling gives little girls all the power. With “Tell a Fairy Tale” day coming up tomorrow, we also looked into the difference between fairy tales and folk tales while we were learning so much about Little Red Riding Hood. 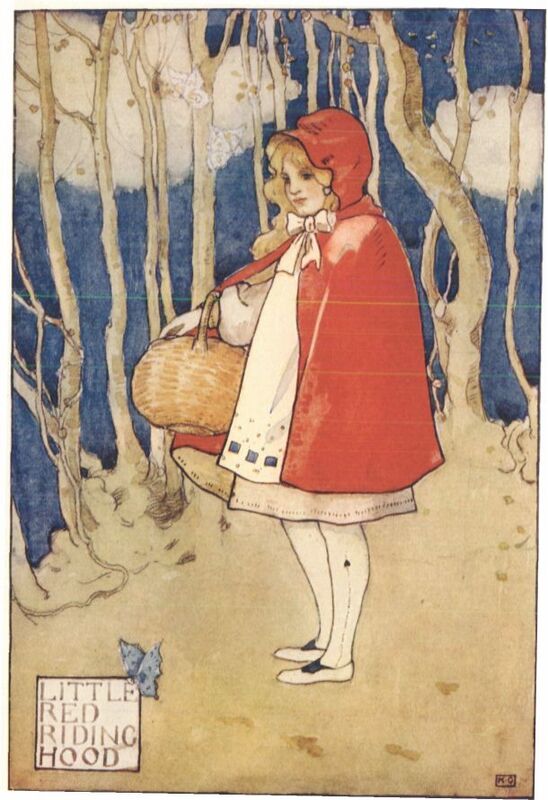 Let us know what you think—is Little Red a folk tale or a fairy tale?